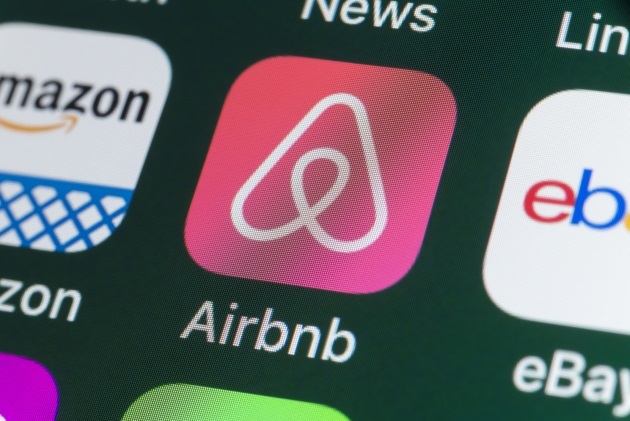 Airbnb, along with other room-sharing websites, provides a cyber marketplace for innovative entrepreneurs to operate a lodging business without following the strict regulations that usually apply to hotels and hostels. For instance, while room-sharing websites provide pricing tools and guidelines to the hosts (entrepreneurs) who are renting out extra space, it is still up to the hosts to decide what price they want to charge for the service provided (i.e., the price positioning strategy) and whether they want to adjust the price on a regular basis according to the fluctuating demands from the travelers (i.e., the dynamic pricing strategy). In fact, the impacts of price positioning and dynamic pricing on a listing’s revenue performance or even on the neighborhood hotels’ revenue performance have been identified. Moreover, hosts on room-sharing websites have the right to decline a traveler’s request for a stay based on the traveler’s information posted in the online marketplace, which may include the traveler’s profile picture(s), age, birthplace, racial and educational background, and links to other social media profiles of the traveler. As a host can now make decisions of whether to accept or decline a traveler’s request based on the traveler’s demographic information, issues may arise when hosts tend to decline the travelers of certain races (e.g., against African-Americans). It appears that a successful peer-to-peer (P2P) transaction of room-sharing services relies on the reciprocal selections among a traveler (renter) and a host, which is different from the traditional reservation models of a hotel where a successful transaction is solely built upon price and availability. Referring to the relevant literature, many empirical studies only tackled the research questions from either the hosts’ or the travelers’ perspective. The reciprocal selections among a traveler (renter) and a host should also be recognized and deserves special research attention. I then worked with Karen Xie, an assistant professor at the University of Denver to explore the similarity-attraction effects between a buyer (traveler) and a seller (host) on listing sales. The results were reported in a study published in the International Journal of Contemporary Hospitality Management. 1. How do host-renter similarities in age, birthplace, and education affect the likelihood of a P2P room-sharing transaction? 2. Would such similarity-attraction effects vary as renter re-experience or host capacity increases? We collected the data from Xiaozhu.com, a leading room-sharing website in China. Because Xiaozhu.com chronologically archives sales records on each host’s profile page, we were able to match the information between a host and a renter through sales records and then add the listing characteristics to each booking. Our data included 9,981 renters who booked a listing with 5,272 hosts in Beijing, China on Xiaozhu.com from August 2012 to November 2016. We applied a logistic regression model in our analysis, with transaction being the dependent variable and a group of independent variables, including host-renter similarities in age, birthplace, and education, as well as two moderators — the number of days of a renter’s membership with Xiaozhu and the number of listings managed by a host. We also controlled host and listing characteristics, such as confirmation time, number of beds, price, among others. Host-renter similarity in birthplace has no significant impact on the likelihood of a P2P room-sharing transaction. Host-renter similarity in education positively affects the likelihood of a P2P room-sharing transaction. As the length of the renter’s membership increases, the positive effect of age similarity between a host and a renter on the likelihood of a P2P transaction is mitigated. The increased length of renter membership also strengthens education’s similarity effect on the likelihood of a P2P transaction. As the number of listings managed by a host increases, the positive effect of age similarity between the host and a renter on the likelihood of a P2P transaction is weakened. To encourage users to disclose age or age category. To feature the listings that are managed by the hosts of a similar age with a traveler when the traveler searches for available listings in a destination. To encourage users to disclose more information about their educational background, such as the highest degree attained, majors, information about their alma mater, year of graduation, etc. To feature the listings that are managed by the hosts of a similar educational background as a traveler when the traveler searches for available listing in a destination. For a traveler who has been using the room-sharing website for a long time, promotional efforts should be put on the listings that are managed by the hosts with a similar educational background rather than those managed by the hosts of a similar age. For a traveler who has only been using the room-sharing website for just a short time, promotional efforts based on similarities on age and education are both recommended. To put more efforts in promoting or featuring the listings managed by single-unit operators rather than those multi-unit operators. To develop and provide training programs that tailor to the multi-unit operators, allowing them to develop multi-tasking and effective communication skills. When a host receives multiple requests for a stay from different travelers, they may purposefully consider accepting the request from the traveler of similar age and/or has similar educational backgrounds. To explore the possibility of using the “matching” tactics in service. For example, is it possible to use Gen Z to serve Gen Z, resulting in higher guest satisfaction and more sales? In terms of product development, is it possible for a hotel to develop a hotel brand with the “personalities” that are similar to their target customers? Such as the Motto by Hilton and Moxy by Marriott? Due to the limitation of the data source, we were unable to measure other buyer-seller similarities than in age, birthplace, and educational background. Our findings suggest that similarity-attraction between a host and a traveler should not be ignored in the P2P room-sharing settings. It is also important to note that our data was collected from a room-sharing website in China instead of Airbnb, where almost every host and traveler has the same racial background, making it difficult to conclude that similarity-attraction between a host and a traveler would also be an important factor in the discrimination cases happening in Airbnb. If data is available, I encourage future studies about discriminations or diversity issues on sharing economy should also consider other similarity-attraction variables than just those “superficial” ones. In a business setting, can similarities between a buyer and a seller lead to a higher chance of having a successful transaction? What is your experience? Linchi Kwok is an associate professor in The Collins College of Hospitality Management at California State Polytechnic University Pomona (Cal Poly Pomona). He came to Cal Poly Pomona by way of Syracuse University and Rochester Institute of Technology. He is a blogger and publishes refereed journal articles on service operations, information technology and social media. Linchi is a recipient of The W. Bradford Wiley Memorial Best (Research) Paper of the Year Award. His perspectives have been quoted in The New York Times, NBC News and LA Times, among other mainstream media outlets. Linchi received an M.S. degree and a Ph.D. degree in hospitality administration from Texas Tech University and an MBA degree from Syracuse University.